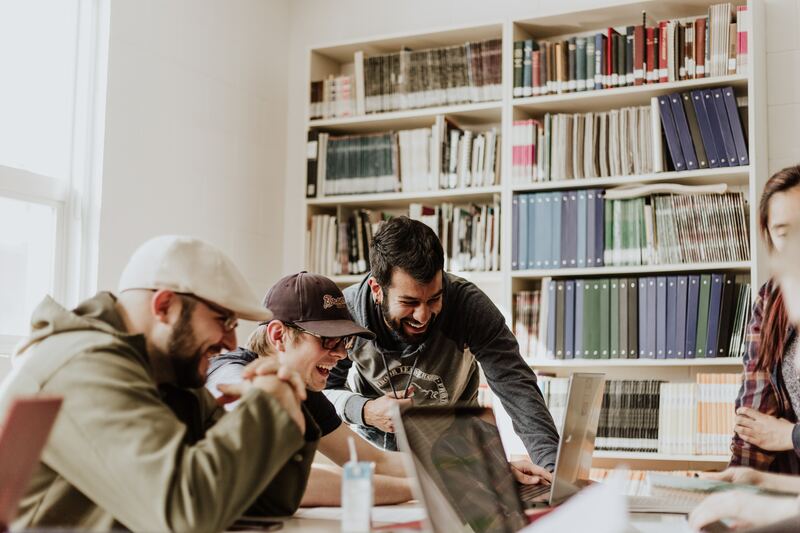 With unemployment at 4% and 71% of employees saying they’re open to leaving their jobs, employee engagement has become a strategic imperative for leaders. Yet, based on a recent survey my company conducted with 1,700-plus full-time U.S. employees , more than 60% of employees surveyed said their company doesn’t have an employee engagement strategy. Surprisingly, 40% of human resource professionals also agreed it doesn’t exist. Why don’t companies have strategies? And when they do, why don’t employees know? Based on our experience working with or talking with numerous Fortune 500 companies on engagement, we see two primary reasons for the lack of a strategy. The first is that many organizations still do not view people and culture as a strategic asset. In those organizations, HR is primarily to ensure people get paid, roles are filled, benefits get administered and no one gets sued. You can identify these organizations based on where HR is in the org chart, the age of their systems and tools, and their approach to policies and procedures. When asking business unit leaders, “What does the HR team help you with?” you may get blank stares or snarky answers back. While HR may be charged with measuring engagement, they are not in charge of providing solutions to fix it. That falls on the managers, which is perceived as fair given the mistaken belief that the manager-employee relationship is the primary driver of engagement. If engagement is bad, it has to be the individual manager’s fault. Therefore, ownership for improving engagement ends up diffused across hundreds of managers to figure out. However, a number of companies with very enlightened, progressive HR organizations still don’t have engagement strategies. We find this more puzzling, but think it gets back to the very essence of the question of who owns culture. When we asked employees who the main advocate for engagement is, there was no consensus: 22% thought it was the leadership team, 21% thought it was the employees, 20% thought it was their manager, 20% think it’s HR and 17% listed another team or department. Even some companies that measure engagement make arguments for multiple teams to own it. We find engagement efforts are often diffused. Strong corporate social responsibility (CSR) teams have initiatives for the company to be more sustainable, to volunteer, improve safety and donate to charities. Effective diversity and inclusion programs have important engagement components, whether via employee resource groups or driving awareness and behavior change around implicit bias and psychological safety. Companies who run well-being programs tout engagement improvements as one of the strongest benefits. CEOs invariably say, “I own culture,” which is correct. But CEOs also own manufacturing and yet empower their head of manufacturing to develop the lean manufacturing strategy. Engagement programs shouldn’t operate in silos. When aligned under a coherent, integrated engagement strategy, they can drive much more collective impact. To have an effective strategy for engagement, a single organization needs to be clearly charged with developing it, aligning various teams and programs around it, activating it and measuring the outcomes, even if multiple teams continue to own their specific component. I would argue that HR should own that strategy development process. A strong alternative, and a critical partner under any circumstance, is the corporate responsibility team, given the strong connection between a company’s purpose, impact programs and improved HR outcomes. One reason for the employee-HR perception gap is that only 25% of employees surveyed believe their company does a good job communicating about engagement opportunities. The cost of poor communication is estimated to be as high as $62 million for companies with 100,000 employees or more. We’ve seen internal communications teams adopt policies that a consumer marketer trying to drive customer engagement would never consider. One example is a “ban” on all-employee emails or limiting them to only one email, ever, despite 63% of employees saying they prefer learning about engagement opportunities via email. What we’ve learned is that if the email is targeted and relevant, it’s considered valuable by employees. But email isn’t the only method that matters. For an initiative to be perceived as important, it needs to be communicated across every channel: in meetings, on screens, in the social platforms, the elevator and the cafeteria signs — which is why it’s critical to include a communications plan as part of a solid engagement strategy. What are the benefits of an engagement strategy? Our research shows that companies with an engagement strategy have a higher employee Net Promoter Score, and if the company has a mission that makes their role feel important, they are significantly more likely to recommend their employer. They are also less likely to be actively looking for a new role or be open to new opportunities. These findings are consistent with other research into the benefits of engagement and what been referred to as the Engagement-Profit chain. In this age of employee choice, companies need to have a clear, integrated strategy for engaging their employees. It should begin with what the purpose of the organization is and clear, defined goals and objectives for their culture and their people. It should align the efforts of the various programs that exist to drive engagement, whether owned by HR — like learning, well-being and rewards — or by other teams, like sustainability and responsibility, ethics and compliance, safety and diversity, and inclusion. Employees should hear about these efforts consistently and across all channels and be encouraged by their managers to take part. There should be a unified measurement for which initiatives are working and which ones are not. In those engagement-centric organizations, you’re likely to see stronger Net Promoter Scores, higher retention rates, more innovation and better financial performance. Most of all, it’s a culture leaders can be proud to lead, and they can point specifically to the team that helped them create it.